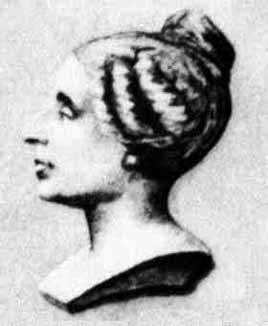 Mathematician of the day: Sophie Germain #WHM15 #WomensHistoryMonth « Adafruit Industries – Makers, hackers, artists, designers and engineers! Marie-Sophie Germain was a French mathematician, physicist, and philosopher. Despite initial opposition from her parents and difficulties presented by society, she gained education from books in her father’s library and from correspondence with famous mathematicians such as Lagrange, Legendre, and Gauss. One of the pioneers of elasticity theory, she won the grand prize from the Paris Academy of Sciences for her essay on the subject. Her work on Fermat’s Last Theorem provided a foundation for mathematicians exploring the subject for hundreds of years after. Because of prejudice against her gender, she was unable to make a career out of mathematics, but she worked independently throughout her life. In recognition of her contribution towards advancement of mathematics, an honorary degree was also conferred upon her by the University of Göttingen six years after her death. At the centenary of her life, a street and a girls’ school were named after her. The Academy of Sciences established The Sophie Germain Prize in her honor.